Since we arrived a little bit later on Saturday, we saved our hiking for Day 2! After a quick breakfast at Angel in us Coffee, we started our drive to nearby Odaesan National Park. We arrived at the southwest corner of the park in a place called Sogeumgang, or “little geumgang”, named after the famous mountain in North Korea. The drive from the city was a beautiful one that reminded me of home. The mountains in Korea look very similar to the Appalachian mountains of the Eastern US where I grew up, and the winding roads through the valley transported me back to NC for a moment. I was soon brought back to Korea once I saw the road turn into a narrow unmarked trail lined with buddhist lanterns and eager hiking groups. To say hiking is a national pastime here is an understatement–it’s a lifestyle! The hiking group leaders wore flags in their backs, and the group members all wore matching hiking gear. October has been an incredibly busy month! I’ve planned it that way on purpose, because winter is quickly approaching and it gets so cold in Korea we rarely want to leave our apartment. Before we go into hibernation, I want to fit in as many trips and activities as possible. Also, Fall in Korea is GORGEOUS and fleeting. I want to soak up as much good weather and nature as possible before the cold, dark, long winter. Anyways, this weekend we made our way up to Gangwon-do province to visit our friend Zack, whom you may know as Scroozle from the blog Crimson North. If not, definitely check it out! He’s been living in Gangneung for the past couple years, and I’ve only heard good things about it. Our friend Charly also lived in the city and loved it there too! It was past time for us to visit. We hadn’t been to the province since our first year, and even though it was the very beginning of Fall, it was gorgeous and we couldn’t have asked for better weather. Across Korea traditional markets are still a common feature. Taking place every five days in towns and even cities, the markets give a brief insight into an older part of Korea. For the most part these markets are straightforward occasions and possibly a bit like you could imagine in the so-called olden days, drawing in all the local populace for not only business but also social reasons. Throughout you can see people meeting and doing business, while at the same time there is a good quantity of back slapping and hearty laughing by the stalls. There are rows and rows of people, mostly old women it has to be said, selling what is clearly the excess from their small gardens, and for them it seems to be as much a chance to get out and meet people, with the added benefit of actually making some money. They say the third time’s a charm, and for South Korea that’s proven to be the case, at least in terms of the 2018 Olympic Games. 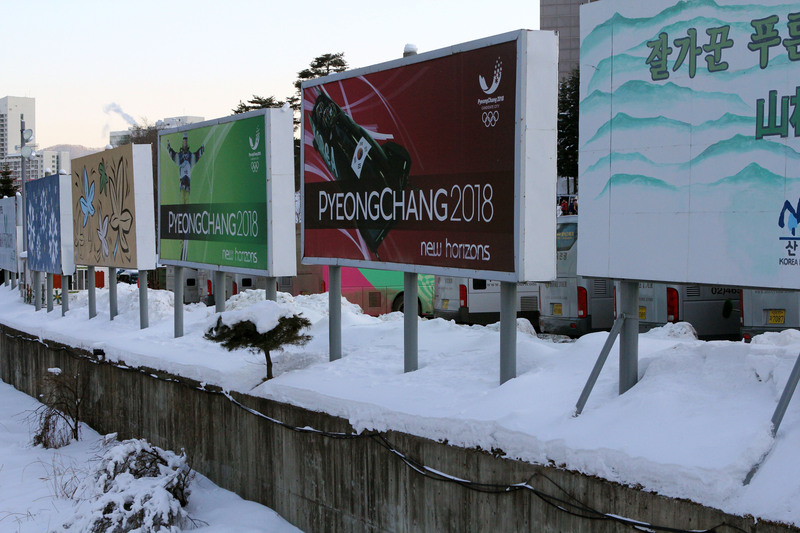 The ROK proudly beat out other top contenders such as Annecy, France and Munich, Germany, and it will be the second time the Olympic Games have been held in Korea since hosting the Summer Olympics in Seoul in 1988. There is no particular reason that Korea’s rural northeast is often overlooked. Rather, there are several small reasons: it’s out of the way from any significant city, the bullet train doesn’t run there, winter brings heavier snowfalls than it does most the rest of the country, and it’s not proximally close to either China or Japan, which could historically account for its underdevelopment. It’s the sort of area one would probably read a book through on a bus ride, though if you glanced out the window you’d notice mostly flat, traditional Korean roofs hovering over a sea of cabbage farms and some of the best mountain views in the country, widely unobscured by condominiums. East Coast: Getting There & Away. Yesterday in Korea was the national holdiday Chuseok. It's similar to Thanksgiving or so I'm told. Being British I couldn't really tell you if that's right or not. What I can tell you is that usually entitles everyone to a long weekend. This year I was lucky to have a five day weekend! I decided to go on a roadtrip to explore some of the east coast of Korea. Since traffic is notoriously bad here, especially on holidays, my partner in crime, Steve, made me wake up at some unearthly hour but apart from that the whole trip was so much fun. Here is us on the road with all the 'notoriously' bad traffic.